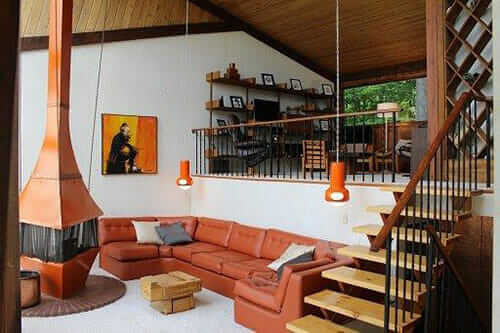 Home » Mid Century Culture » time capsule homes » 1973 tiki time capsule house — let’s P.A.R.T.Y! 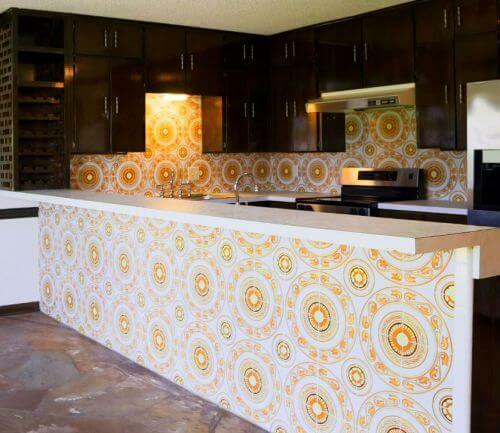 1973 tiki time capsule house — let’s P.A.R.T.Y! Aloha! 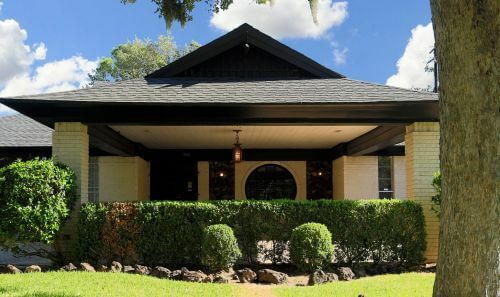 Today, a 1973 tiki time capsule house in Houston just begging for new owners who want to transform it into a Polynesian Paradise. 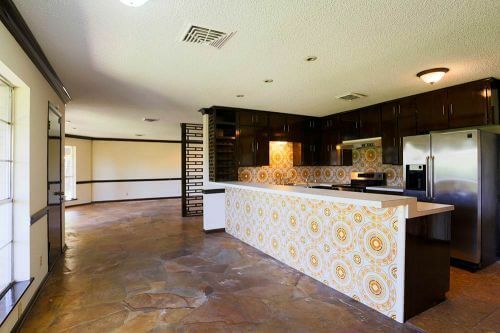 The house has all the right bones — flagstone flooring, groovy patterned tile, bamboo cabinet pulls, a geometric room divider… but golly, the walls are kind of bare… calling out for… grasscloth, thatch — or maybe even metallic flocked wallpaper. We are are in lust at the thought of reviving this Polynesian Paradise. 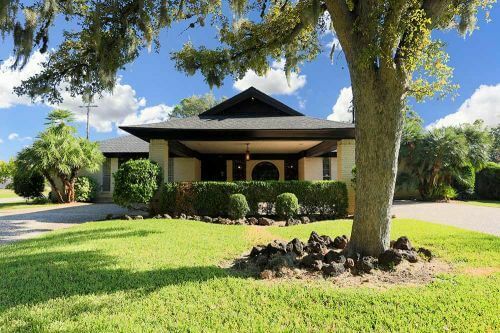 Robert Searcy is rocking our retro realtor world with the time capsule house listings, complete with great photos, he sends to us these days. Way to market, Robert, way to market! We love to be part of your promotional world — because we get to archive these photos forever after. It’s a win-win-win — always great! Mid-century modern with a Polynesian twist! 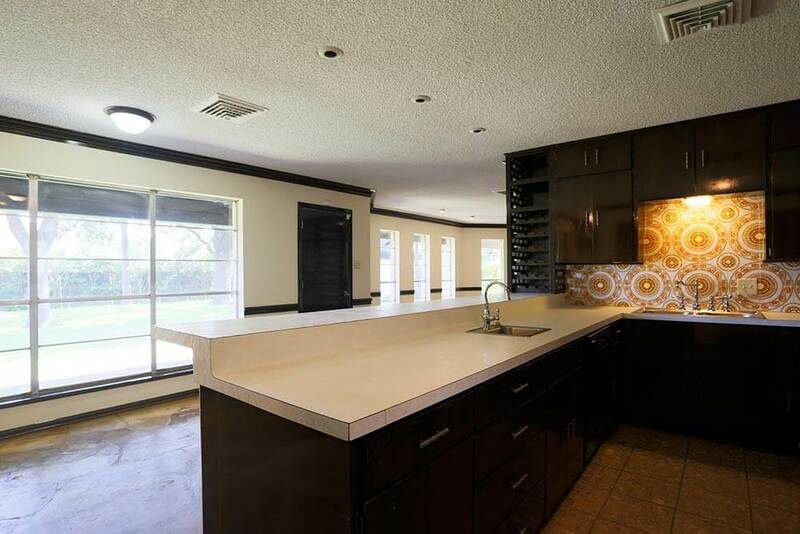 Nearly 3,000 SF w/1 living area & 3 BRs, so all the room sizes are BIG! 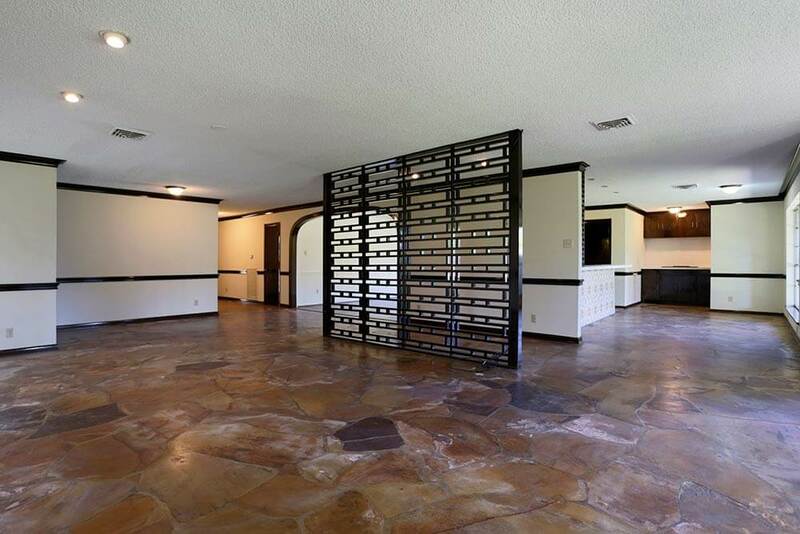 Grand living area w/magnificent flagstone floors, chinoiserie room divider & arched doorway to formal dining. MEGA master closet w/cedar lined section + luxo baths. BR wing terrazzo tiled, no carpet! Imposing street presence w/port-cochere & circle drive, +2 car garage. Corner lot in primo section. 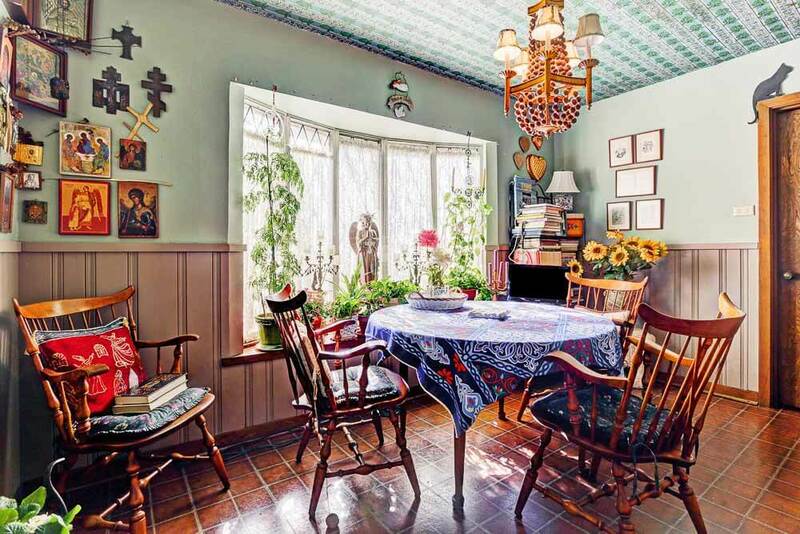 Loaded w/character & architectural details. 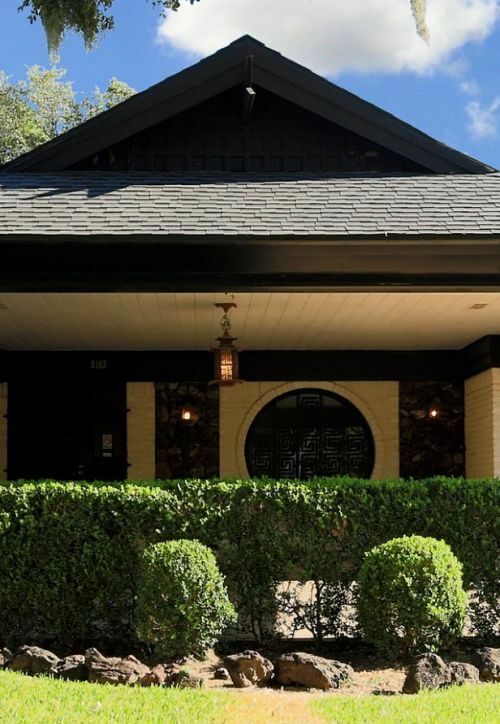 Adjacent lot included 24k SF lot total. The home’s main living area features gorgeous flagstone floors and a large geometric room divider. 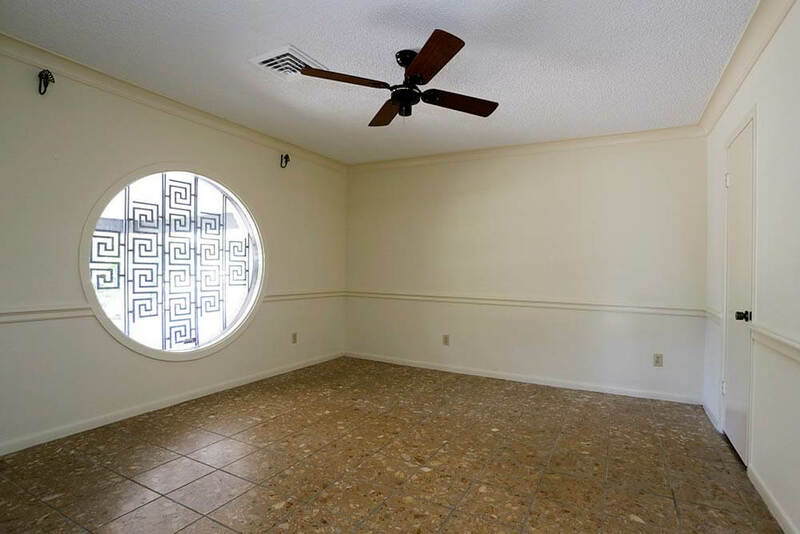 All the walls in the house are notably bare. Surely there was far out wallpaper there before? You know, we kind of like the blank canvas. Round windows — like the one above — are always fun to see, but this one is especially groovy because of its decorative ironwork window grate. The kitchen has a very open feeling and a long expanse of countertop, perfect for serving up tiki drinks. 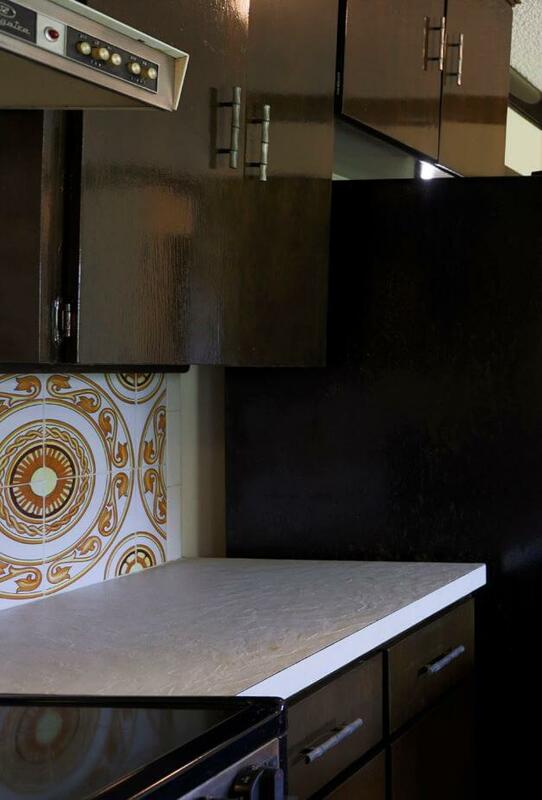 Decorative vintage tiles line the front of the bar and provide a fun backsplash for the rest of the kitchen area. We also spotted cabinet pulls that mimic bamboo. 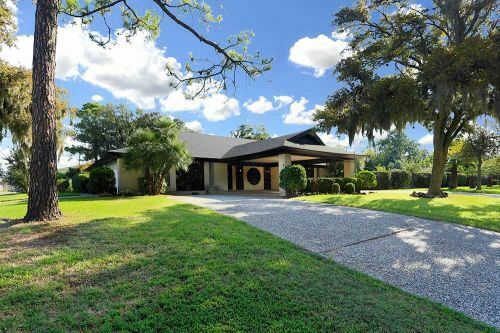 Mega thanks to our retro Realtor friend Robert Searcy for sending this fantastic property our way! 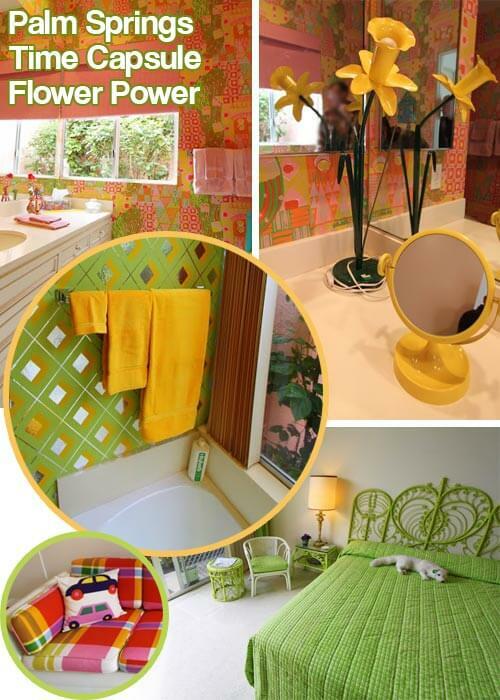 I wanna go Chinoiserie wallpaper, lacquered furniture, jade elephants, ceramic garden stools, and pottery with bamboo. I don’t really see the tiki thing… now a teahouse gazebo… that’s something else! I would love to put in a koi pond. Could see injecting some Art Deco glam though. But that could just be my Art Deco fetish showing. If I went beachy I think I would go more Florida than Hawaii. 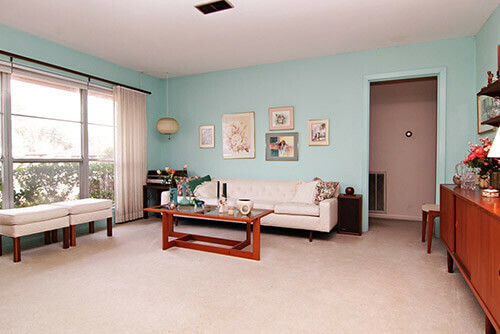 It has enough space to really show off pastel and shimmery. Tiki can run dark for me, honestly. The price is ridiculous! If this house were in Denver, it would be twice as much! If it weren’t for the humidity, heat, and bugs, I’d could see myself there. So, thanks for bringing this to us in pictures, minus all the drawbacks. It’s a blank slate for gardening too. That’s a lot of grass. The gardener in me would love to go crazy with native plants and make that huge yard feel as special as the inside. Wow. SO very gorgeous just as it is, don’t change a thing!